You would be surprised by how many different materials can be made water and soil repellent with the addition of simple coatings. You might also be surprised to learn of the negative attitudes towards sealing tile, grout, or concrete just a few years ago. The list of reasons against coatings was long, though not always valid. Some objections included; additional work, cost, and possibly liability in the case of slips and falls. Modern technologies have improved significantly, as have attitudes towards sealant processes to the point that not only are they valued, but come highly recommended. The benefits of a sealer are numerous, and now, easy to implement. 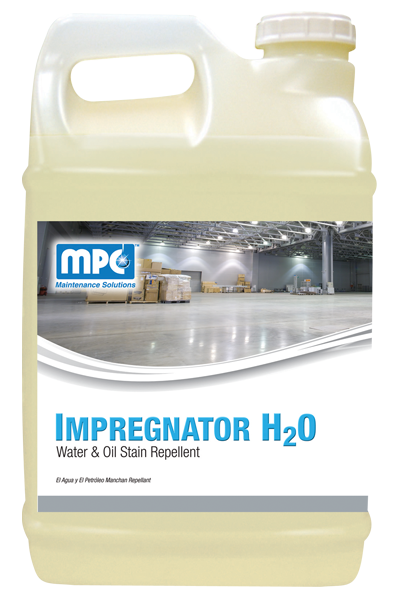 Misco Products Impregnator H2O keeps surfaces looking new, and helps them resist future stains, all while allowing surfaces to dry faster. This easy to use product only needs to be applied once a year and can be used on any exterior stone, concrete, brick, and grout, making it perfect for restrooms, kitchens, walkways, and even patios applications. Impregnator H2O works by creating a transparent, subsurface barrier that provides water and oil repellency. It also provides durable protection without leaving a visible film, which means the natural beauty of the stone will still shine through.